No-Risk, High-Reward Program Provides Fundraising Flexibility and Beats a Candy Bar! DETROIT, Mich. (June 1, 2011) – School and community groups, band boosters, little league programs and other nonprofit organizations can earn money for their operations and bring peace of mind to their customers through a unique, flexible fundraising opportunity being offered by My Peace of Mind. 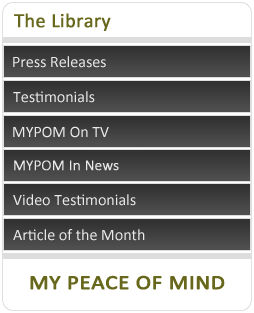 With a new website launched earlier this spring, My Peace of Mind (www.mypom.info) is an online solution that enables subscribers to store financial data in a single, secure, password-protected location that provides easy access by themselves or loved ones they select and authorize. Beginning today, the company’s fundraising division is offering no-risk, high-reward opportunities to groups seeking to augment their revenue. Organizations work closely with a specifically assigned My Peace of Mind account executive responsible for maintaining the relationship and helping with any questions that arise. Groups complete a contract with no minimum sales requirements and virtually unlimited revenue potential. Groups can sell at the pace and on a timeline most convenient for them. Group members are asked to offer My Peace of Mind subscriptions to family members and friends. Brochures, scripts and other materials are provided to help with the sales efforts. Subscriptions cost $48 per year. For every subscription sold, the selling group will receive $19.20, a 40% "commission" on the purchase price. 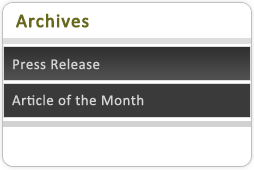 In addition, as My Peace of Mind customers annually renew their subscriptions, the selling group will receive ongoing 10% payments ($4.80) for each subscription renewed. As such, this is a recurring fundraising opportunity with no additional work required. "There is no out of pocket cost for the organization selling our service and no inventory commitment to make," says My Peace of Mind President and CEO Stephen Wood. "Fundraising chair people won’t have to worry about picking up and distributing products, spoilage, returns, order inaccuracies, or any of the things that traditionally make fundraising such an extraordinary effort. By selling subscriptions to My Peace of Mind, you can help families manage their financial affairs when facing the challenges of a death, disability, or recovering from natural disasters like tornadoes, or simply when transitioning management of a family’s financial affairs from one family member to another. "And our compelling value proposition makes sales of the My Peace of Mind service fun and rewarding. In just a two-minute setup time, our customers – and yours – will have a little less stress and anxiety. "We think that beats a candy bar any day of the year!" My Peace of Mind is a Michigan-based provider of data storage services that enable individuals to track and share insurance, financial and other important information via a secure Internet application. Founded in 2004, the company markets its products through a network of insurance and human resources companies, a direct sales team and via the Internet at www.mypom.info.